Full-service agency Essential has celebrated its 20th birthday in style, hosting a party at Sydney’s Beta Bar last night. Founded in 1997 by Tony Douglas, Essential (formerly known as Essential Media Communications) celebrated the occasion with about 100 of its long-term business supporters, current and past clientele, staff, alumni, suppliers and media partners. Executive director Peter Lewis was joined by a panel of journalists, political and social commentators to reflect on how politics and the media have changed over the last 20 years. Reflecting on major campaigns for Essential over the last two decades, Lewis spoke of the ‘Your Rights at Work’ campaign in 2007 and the ‘Every Australian Counts’ campaign for the NDIS in 2013. “The common theme running through our campaigns has been on using research to find a winning communications frame and then using every communications channel at our disposal to reach our audiences,” he said. Douglas attributed the success of Essential to its commitment to research-based campaigning. “We have never just operated from the gut – we have always tested our assumptions and let our audiences guide our strategies,” he said. 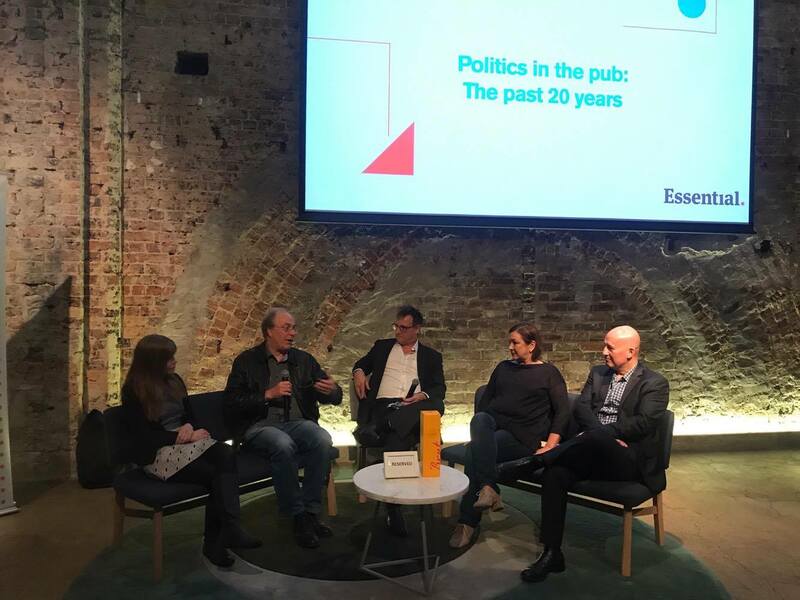 Over the 20 years, more than 100 staff have worked their way through the organisation, with Essential’s alumni holding senior communications roles across politics, government, sport and business. Lewis also paid tribute to Essential’s clients at last night’s event. “The campaigns we run are never ‘our campaigns’ – rather, they are a partnership with a great group of clients who have always been prepared to put their faith in our process,” he said. The 20th birthday celebrations are far from over, with Essential’s Melbourne team hosting a party in late October.